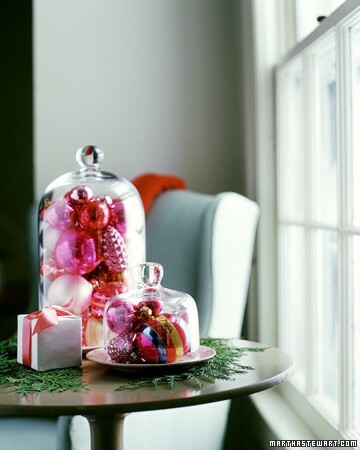 fill with with holiday ornament …. love this look! my only fear is that someone would lift up the jars and ornaments would go flying everywhere. use as a menu …. love this idea! this could be easily done with dry erase markers for a tempoary treatment or with a paint pen for something more permeant. this could also be great when using the cloche to cover food. the message on the outside could describe what’s on the inside. instead of a frame …. 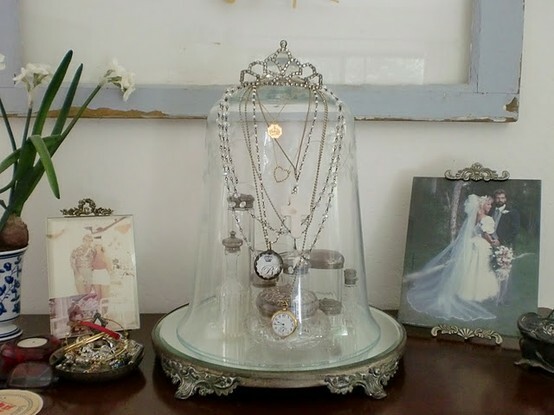 i love the idea of using a cloche as a frame. use a piece of art you have or print something you found on the internet, pair it with a complimentary object … instant artwork! a cover for food …. cloches take standard fair and make it look like something gourmet! put it on a cake stand to take the look even further. 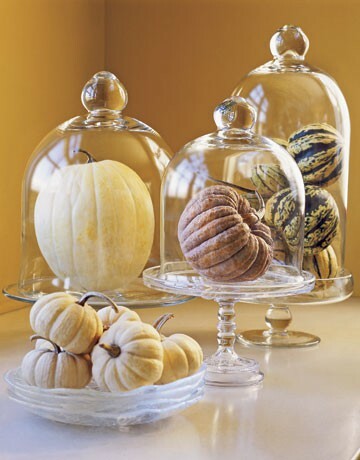 combining multiple cloches with similar elements inside can make a truly unique centerpiece for a table, buffet, or coffee table. switch out the items based on the season, and you have something special all year long! 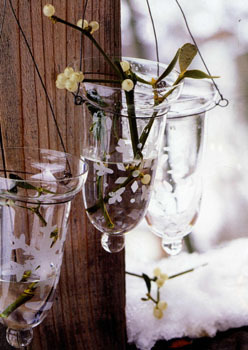 these bell shaped glass jars were actually intended to be used for gardening. they help protect new, delicate plants from the elements. isn’t this collection beautiful? 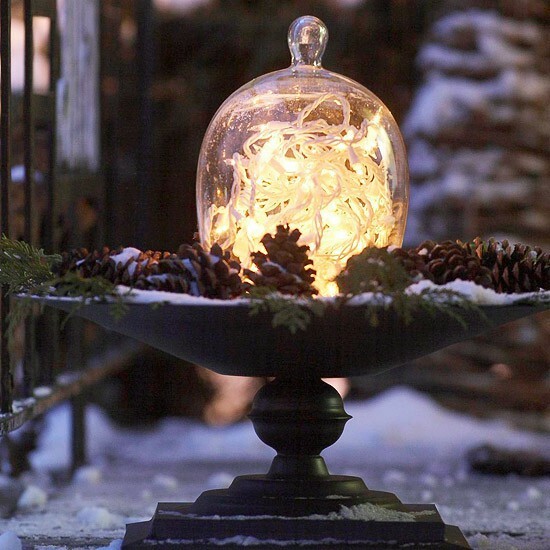 cloches make a great coving for a little winter scene. create a little magic with some treats and special figures. 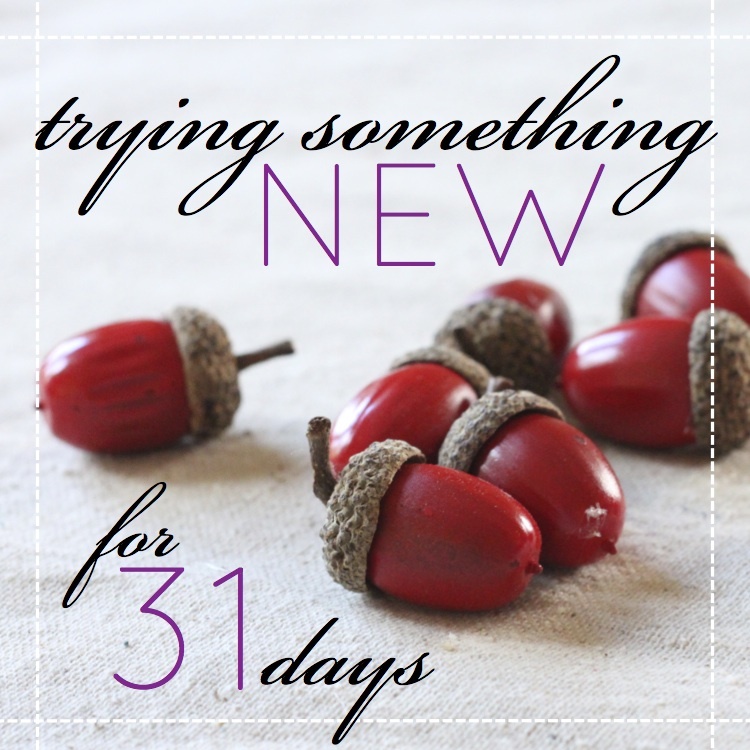 this is one of my favorite new uses, and a definite must try this year. 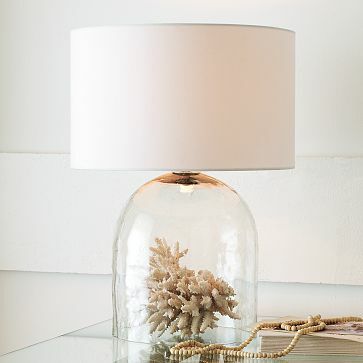 a string of lights and a glass cloche make an easy and festive statement. i thought this was kind of fun and defiantly interesting! could make a unique statement in a kids room. what a unique idea for displaying jewelry! this keeps important pieces projected inside, but still visible. plus, easy access to necklaces, and the tiara on top is too cute. i think pottery barn or west elm were selling these at some point (or maybe still are), but i assume if you are handy enough you could make one yourself! 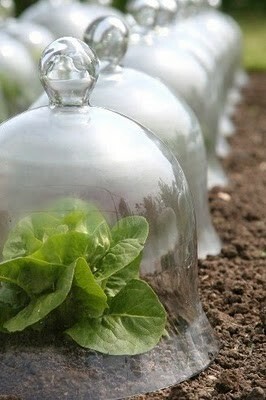 what a great idea for mini cloches! inverted these make a great vase. 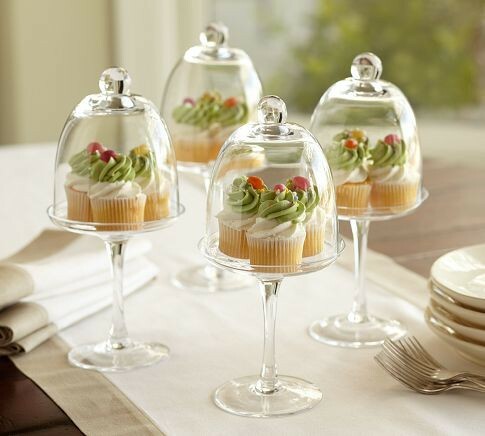 you could even us a larger cloche on a metal stand to act as a candy dish or punch bowl. will you be trying any of these? 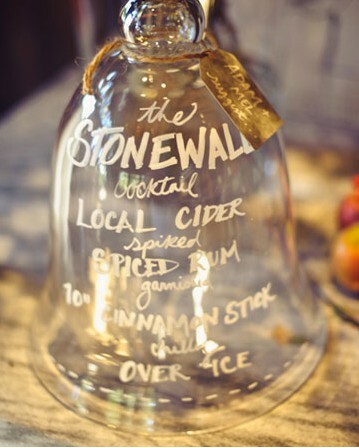 any other fun ideas for cloches? are you sick of hearing the word cloche? 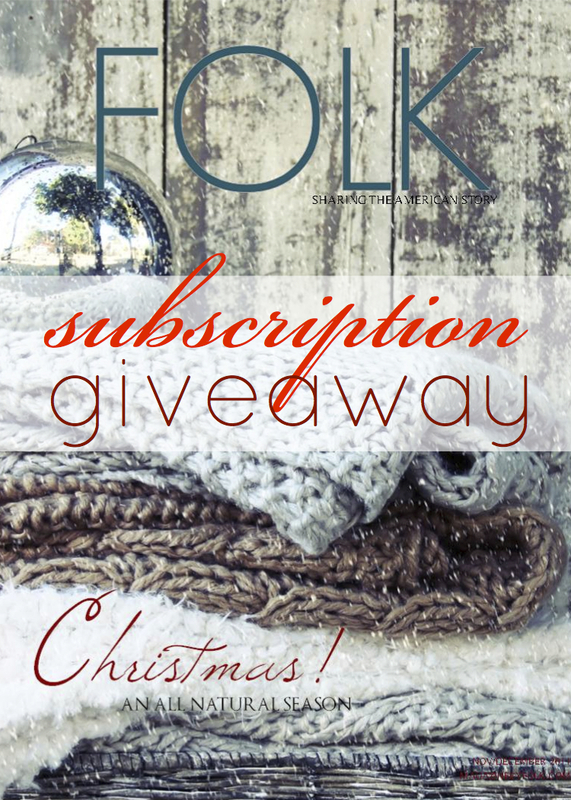 oand don’t forget to enter the FOLK subscription giveaway. a couple more hours remain to get your name in the hat. good luck! and stop back later tonight to see if you were the lucky winner! I’m crazy for cloches too! I’ve never seen the menu or the outdoor idea! So cool! I just discovered your blog and am loving it. 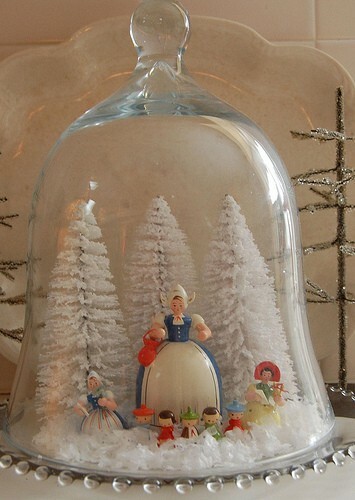 I have always wanted to do the Christmas ornaments under a cloche but have the same concern you do! So, for now I just pile them up in a big tall vase. Hope to be able to stop by the shop before to long. So many fun uses! I have one but I haven’t figured out what to do with it yet…I think I’m going to make that light display – I love that!! 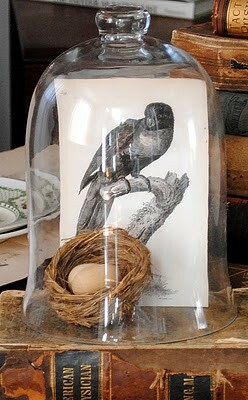 I also love cloches. I have several but I only use them at Christmas time with little winter scenes inside. I have a clooection of mache houses that I put in them. Thank you for giving me some year round ideas for them. I especially love the artwork idea. I have a small canvas of one of my sisters photos that will be just perfect ! I am new to you blog and just loving it ! 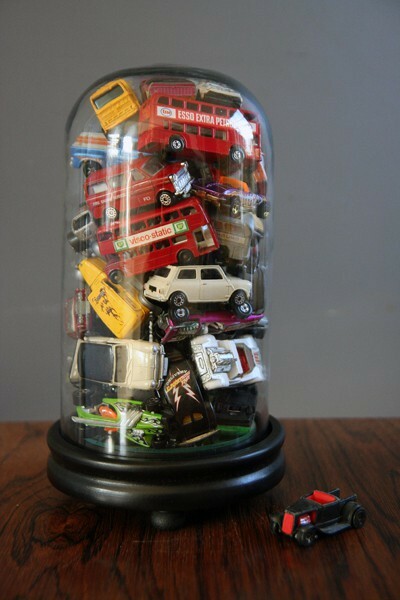 love them, but don’t know how they got those cars stuffed in there, that is my problem getting stuff in there just right.